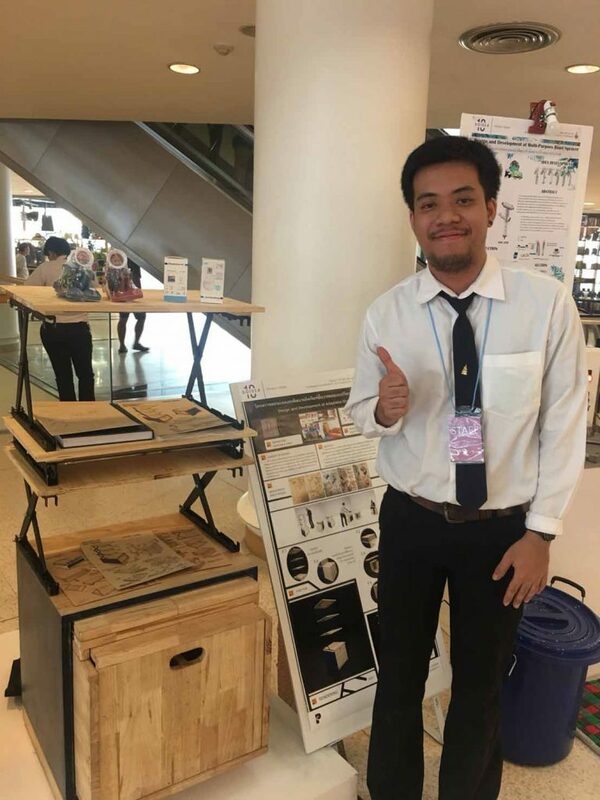 Students from RMUTT’s Department of Product Design, Faculty of Fine and Applied Arts have designed products wherein their functions can be modified. 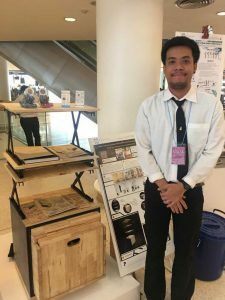 Mr. Anon Sawassorn has designed a modular shelf, and Ms. Sunisa Nirat has designed a bag made from Tai-Yuan cloth from Nakhon Ratchasima province. 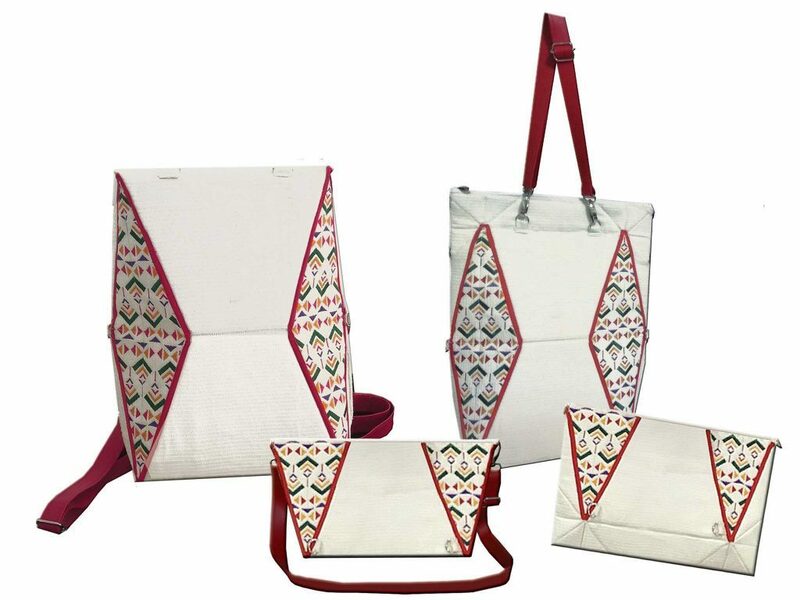 The bag also has various functions and purposes, and is not monotonous. 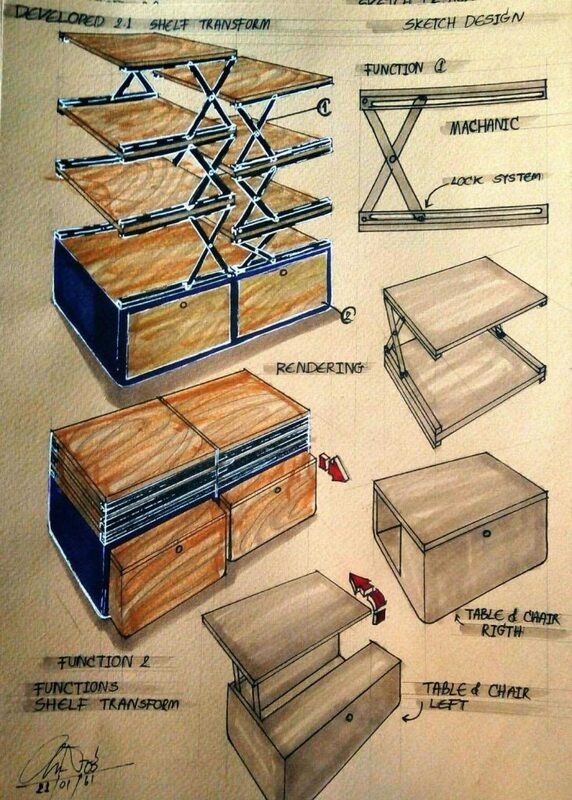 Mr. Anon Sawassorn, the creator of the modular shelf said that the modular shelf was designed to be put in small areas. The function of the shelves have been designed to be appropriate for maximizing usage in small areas, and also take into account safety as well as primary and secondary benefits. The modular shelf was designed to solve problems of having shelves in small areas such as condominiums, apartments, dormitories, and flats. Mr. Anon Sawassorn added that the concept was derived from a ‘sliding steel door’ which he used as the mechanism for changing the shelf’s function and shape to allow the shelf to fold and extend. 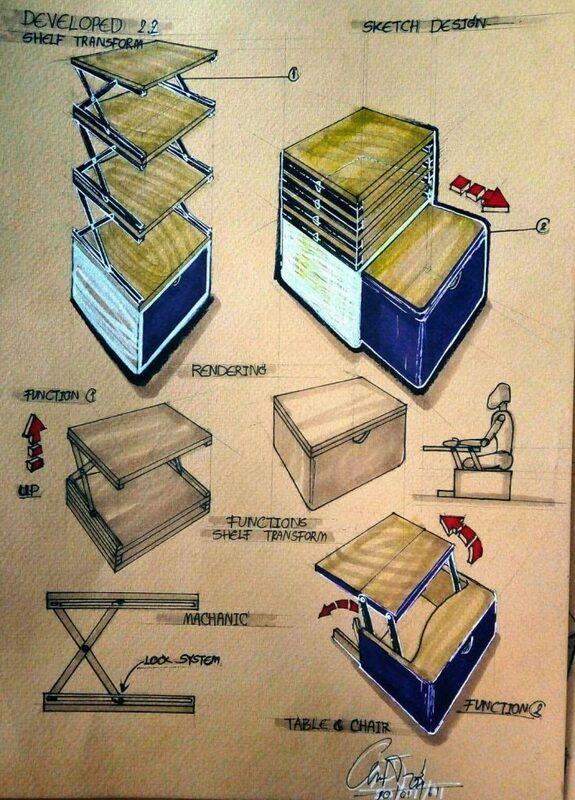 There are also additional functions as the shelf can be used as a table and chair, which are hidden in the shelf. The shelf is made of rubberwood as it showcases the wood’s patterns in a modern loft style. 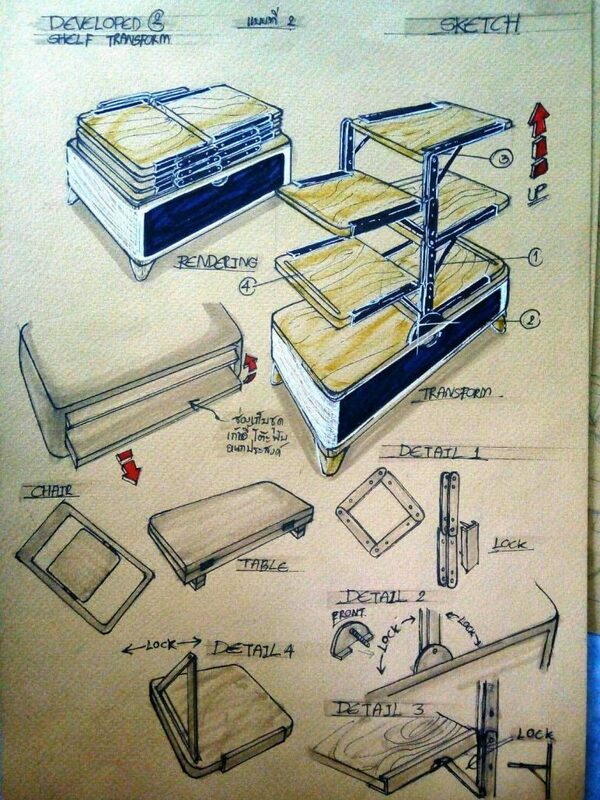 The modular shelf has a total of five functions: a shelf that can be extended, a table and chair set that can be hidden under the the shelf and can pulled out, a foldable shelf, a table and chair set that can be further extended, and a table and chair set that may be stored. 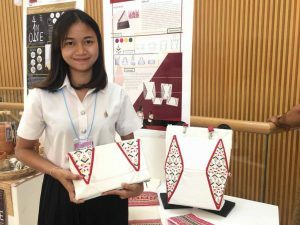 Moreover, Ms. Sunisa Nirat, the creator of the bag for storing documents made from Tai-Yuan cloth from Nakhon Ratchasima province said that she used the uniqueness of Tai-Yuan cloth from Nakhon Rachasima province to design her bag. 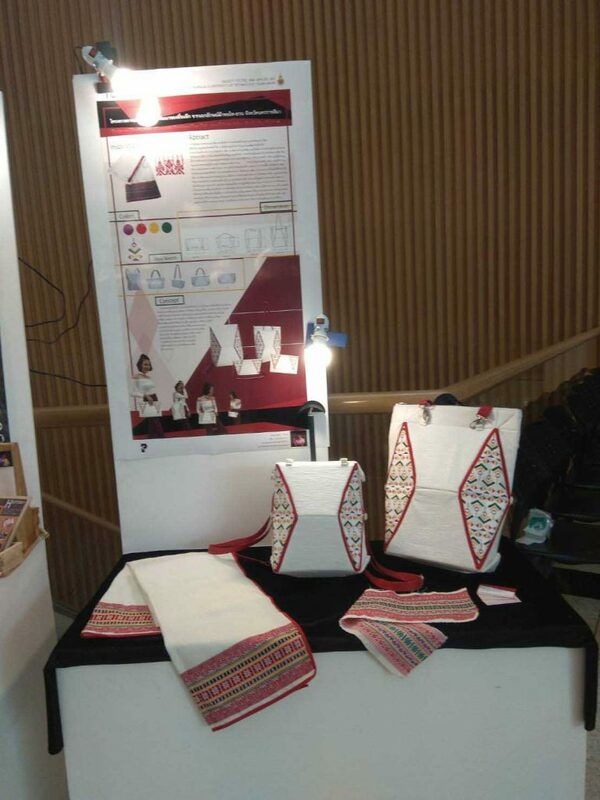 From interviewing community leaders, she sees the community’s need to develop other products using Tai-Yuan cloth. 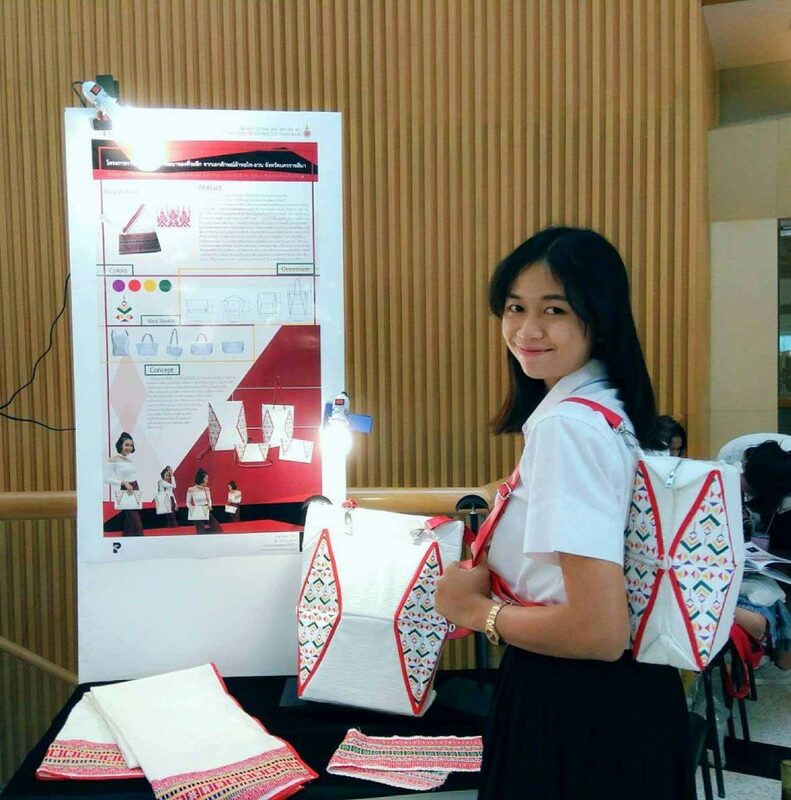 She decided to design a bag as it is fashionable and a product that is necessary and for everyday use. 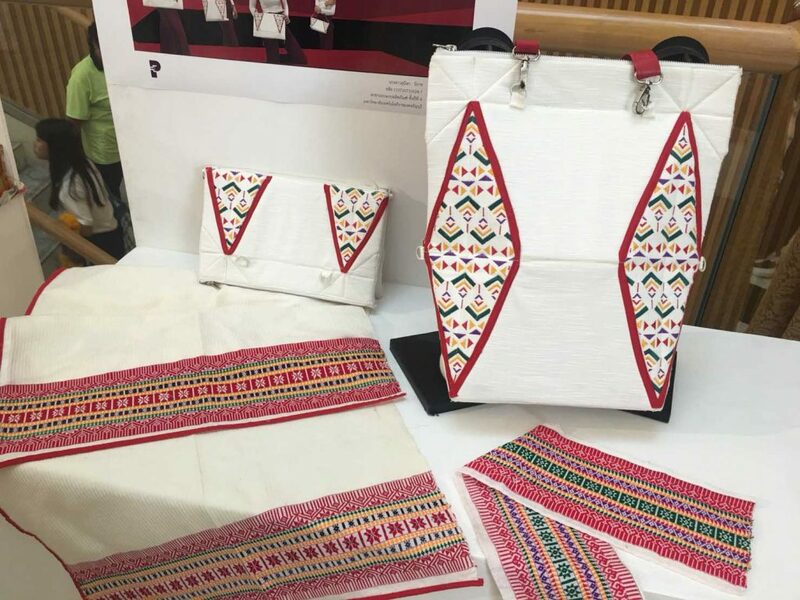 She used Tai-Yuan cloth as the main material to design other items such as blankets and shirts, using patterns unique to the community, such as the ‘Kud Pao’ pattern. The color of the pattern is derived from a color distinct to the community as well, which is red, purple, green, and yellow. 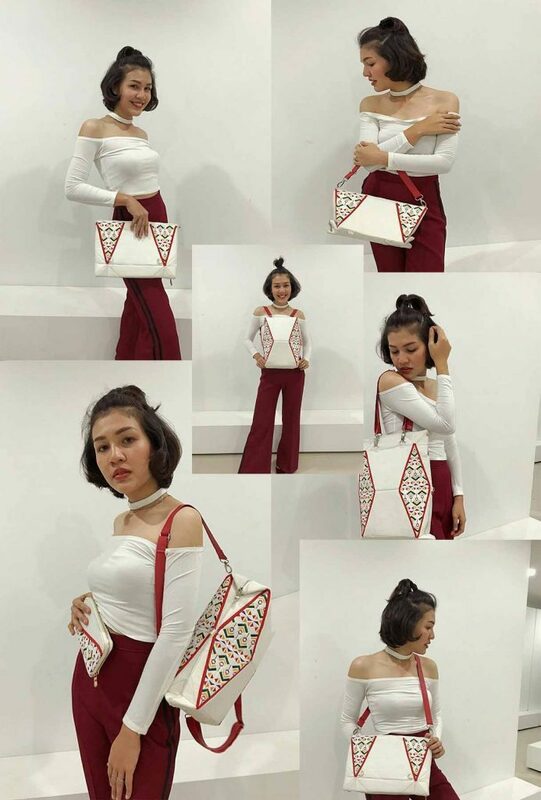 Ms. Sunisa Nirat was inspired by geometric shapes and used it to design her bag, which is adjustable according to the user’s purpose. 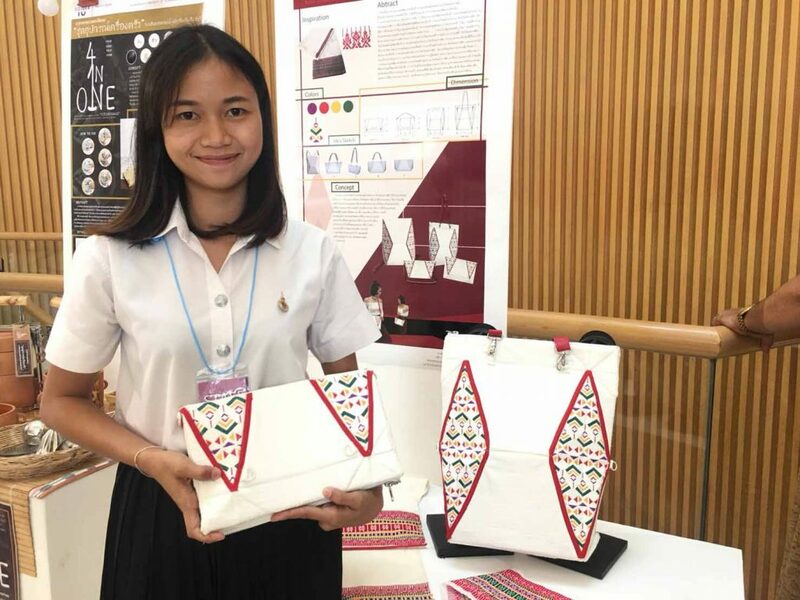 The bag can become a clutch, handbag, purse, shoulder bag, and backpack, and beautifully represents the distinctiveness of the Tai-Yuan people of Nakhon Rachasima. These products simply depict one idea wherein products may have a variety of functions and fit in different eras and styles. These products are suitable for people that are easily bored. Let’s give a round of applause to both students’ work. 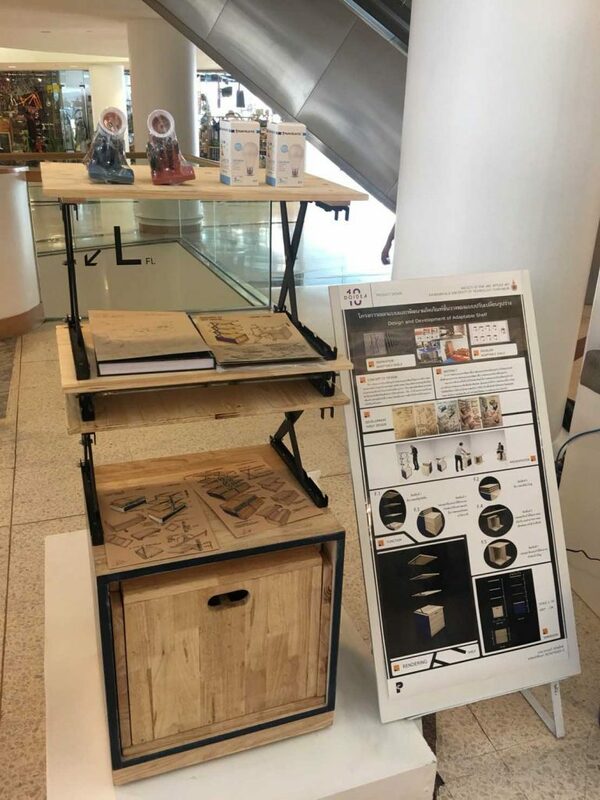 Those that are interested in their work may ask for more information by contacting the respective owner: Modular shelf – Mr. Anon Sawassorn at 080-953-7856, and bag made from Tai-Yuan cloth – Ms. Sunisa Nirat at 082-125-8802.